And for every new customer you send our way, we'll send £5 YOUR way (plus £0.60 for returning customers). Yours to spend on literally anything. Enjoy. Replace !!!id!!! part with your affiliate ID in the link above. Give your promotions the royal treatment! Hook your customers up with FREE shipping when their order includes Postcards or Flyers when they use code FLYFREE18 at checkout. Spread the word and you can earn commission – £5.00 for every new customer you send our way (and £.060 for returning customers). Get FREE shipping when your order includes Postcards or Flyers — now with expanded papers and sizes — at moo.com. Use code FLYFREE18 at checkout. Offer ends 14/8 and cannot be used with other offers. Offer for free economy shipping valid when your purchase includes any Postcard or Flyer. Use FLYFREE18 at checkout. Offer runs from 7/8–14/8 at 11:59pm. MOO UK: 25% off sale extended until July 30th! Our semi-annual 25% off sale is still on and that means there’s still time to earn some MOO money when you spread the word to your customers. Use code JULY25. Offer valid on all products, with the exception of Gift Cards and shipping (and high fives, those are always free). Sale runs from July 18th until July 30th, 11:59pm. Share our voucher with your customers and earn 10% commission for each new customer sale! If you are good at the new customer business, we will be pleased to offer you an even more attractive condition. Become a partner today and benefit from our success! High shopping cart totals thanks to a B2B customer share of about 95 %. Very low cancellation rate – 98 % of all AWIN sales are confirmed due to the high level of personalization of the printed products. Onlineprinters is a brand of the Onlineprinters Group, one of the leading online print shops in Europe. We produce personalized print products from flyers to complete exhibition stands in our in-house production to serve more than 800,000 customers in 30 European countries. Each year, more than 2.5 billion printings are produced, processed and shipped at our sites in Neustadt an der Aisch in Germany, Southend in the UK, Aarhus in Denmark and Szczecin in Poland. Ideal for affiliates that cater to niches, our range of printed products includes both standard print products and unique give-aways such as USB memory sticks, deck chairs or beach balls. If you have specialized in the hospitality sector, for instance, you will find a wide selection of customizable products. Affiliates with a sports focus will benefit from trendy fan products and promotional items not just for the European Football Championship and the World Cup but also accessories such as banners or floor stickers – and more products are added every day! We have been known as a reliable partner of B2B customers such as print shops, agencies and resellers in the offline market already since 1984. For almost ten years now, we have been sharing our experience and professionalism with our affiliate partners. We want you to benefit from our success! Subscribe today to join our profitable partner programme. if you have any questions at all, please drop me a line at partner@onlineprinters.com. Get Special Finishes at a special price. 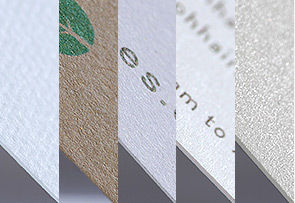 Your customers can now try our fancy finishes with 15% off their business card orders. You don’t have to be design-savvy to create business cards that tell a story about you. 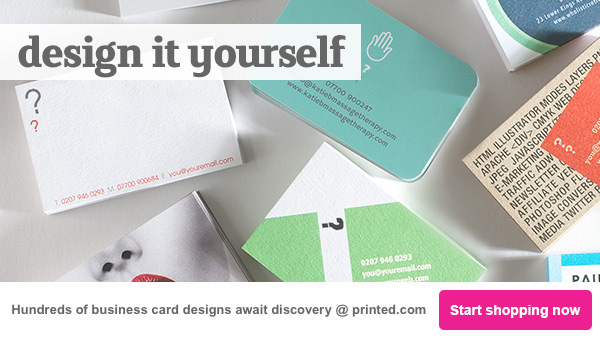 Shop the new business card range down at printed.com and enjoy hundreds of designs right at your fingertips for quick, easy, positively personal business cards. Every business is unique, so cookie-cutter print just won’t do. Once you’ve chosen your design, you can make it your own by selecting from 11 different paper types, 4 sizes, 5 finishes, and even edit the colours and fonts in your design. Now that’s your print, you way! You can choose from 11 different paper stocks to help bring your chosen design to life. 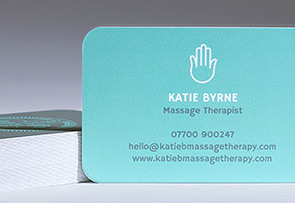 Add gloss, matt or velvet lamination and customisable rounded corners to give your card added character. The gallery is crammed with designs to suit businesses of all types; select a filter to make it easy to browse. 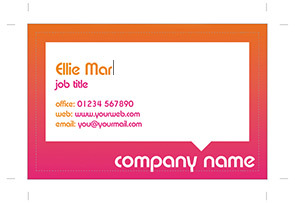 You can edit the colours, fonts and details on your chosen business card design to make it personal. When you’re done, just hit the checkout! 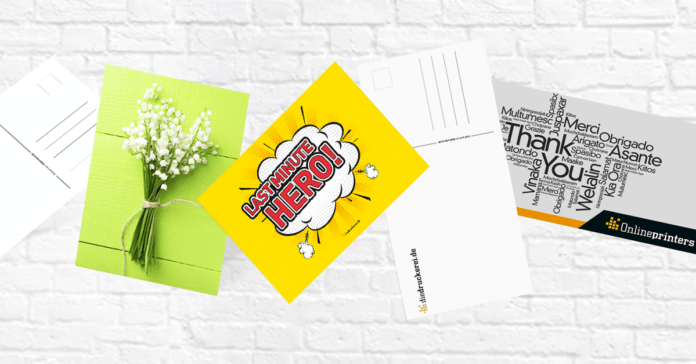 Get tips on creating the perfect business card or start creating your new set now. We've got some great new static & flash banners available in the interface to promote our brilliant range of business cards. Getting the best business cards is essential, no matter which professional you work in. 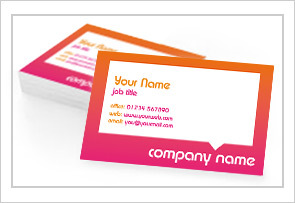 Start the story and say so much about your company with brilliantly printed business cards from printed.com. If you have spent hours painstakingly creating your logo and business card design, our revolutionary presses and excellent quality papers and finishes mean your hard work is off-set with incomparable quality. If you don’t have any designs of your own, don’t sweat! The seasoned designers here at printed.com have slaved away at our business card templates so you don’t have to. Browse our collection of designs to find something that works for you, then just edit your details and you’re done!